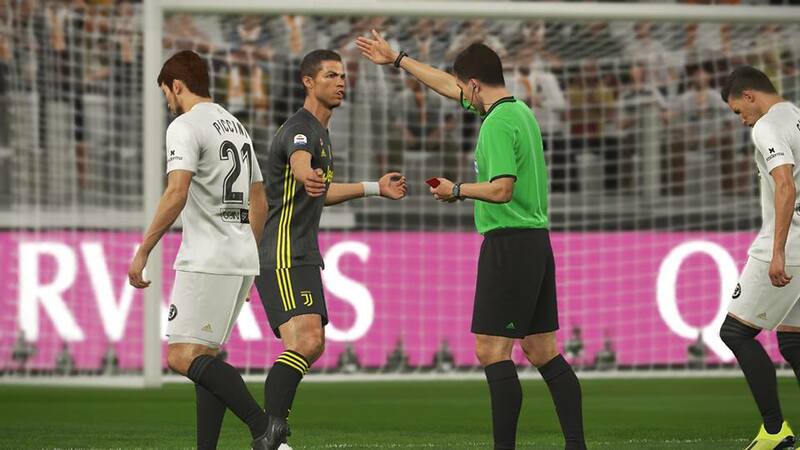 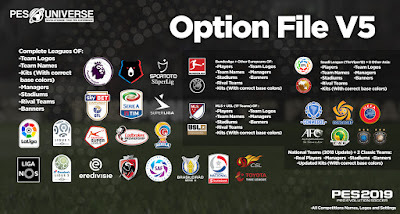 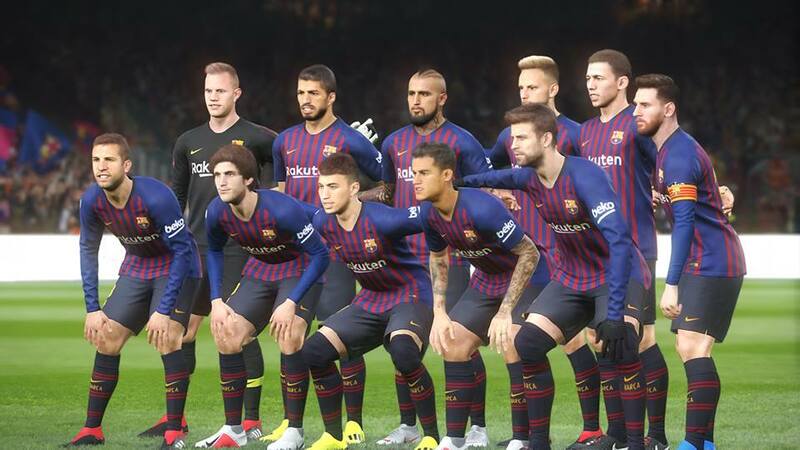 The new edition of PES Universe Option file for Pro Evolution Soccer 2019 PS4 game. 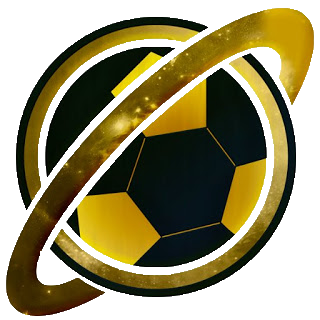 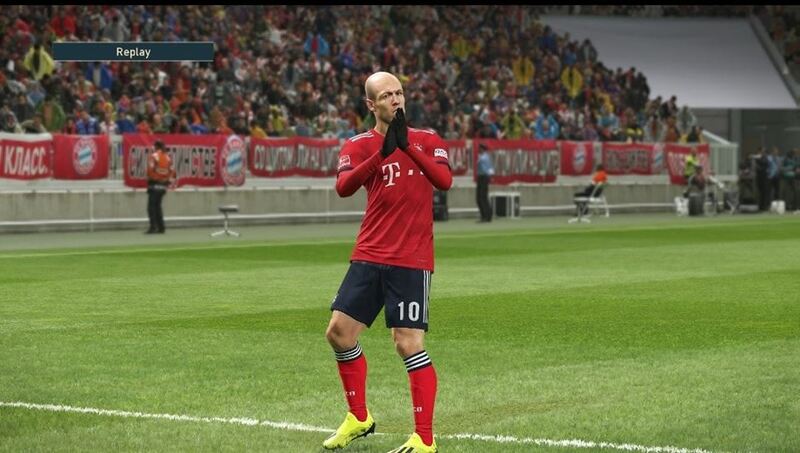 PES Universe is a well-known for its quality option file in PES Community. 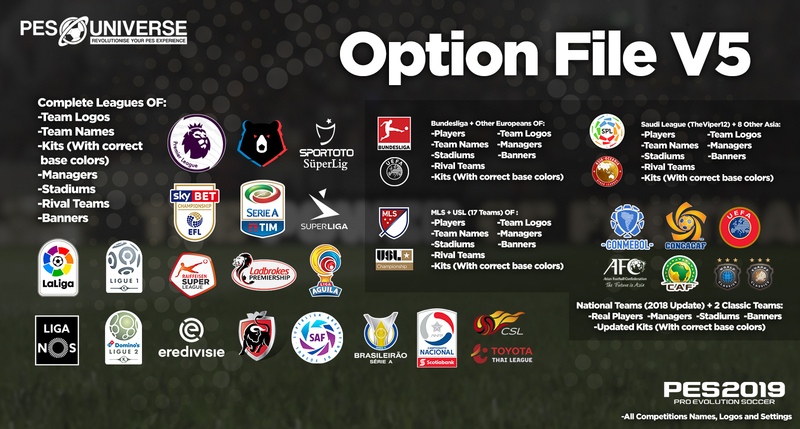 Now you can enjoy your favorite teams in PES 2019 PS4 with PES Universe Option File 2019 ! - And much much more !